The housing situation worldwide is getting so bad, that some straight men have been staying at the gay baths for shelter. Of course this is nothing new, as I’ve been writing about this (go to Being Homeless At The Gay Baths). Surprised this is getting mainstream publicity. But then again it just goes to show how the homelessness situation is getting worse all over the world. And it is not just gay homeless men using the baths, but straight men as well. 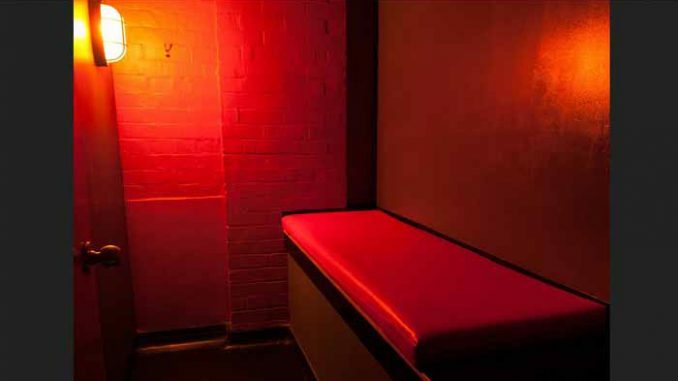 The gay baths are much safer than a shelter, as those places are much more dangerous due to the drug users and those who are mentally ill being patrons. However one can only stay for 8 hours, as it is not like a hotel where you can stay a day. These homeless are not good business either. You might think they are purchasing rooms, so how can that be bad for business. It is because the baths rely on a high turnover of the rooms. They have one customer who spends the entire 8 hours using one room. But next door, the other room has been rented out 4 times in an 8 hour period.